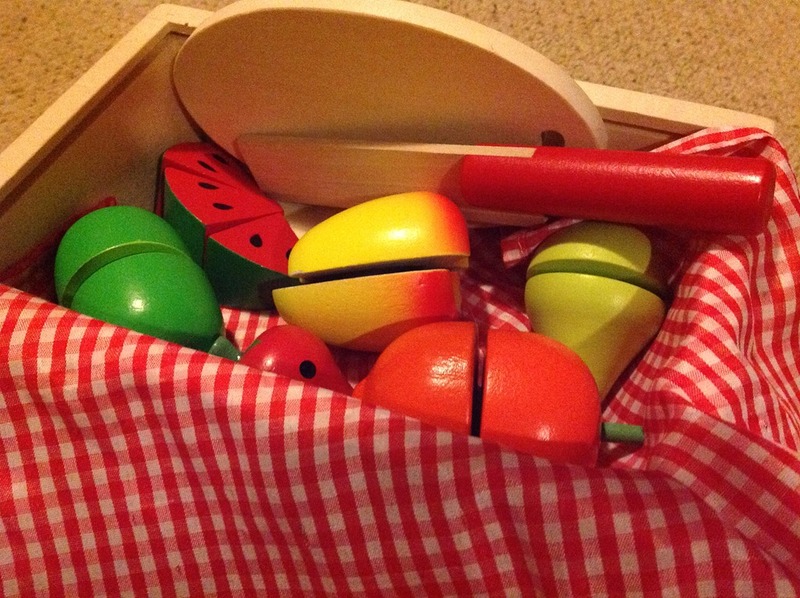 Noah has been lucky enough to have a great chance to play with some fab wooden toys from PlayMerrily Toys; they sent us over a Wooden Fruit Cutting Set and Wooden Cake Box Play Food from BigJigs Toys. 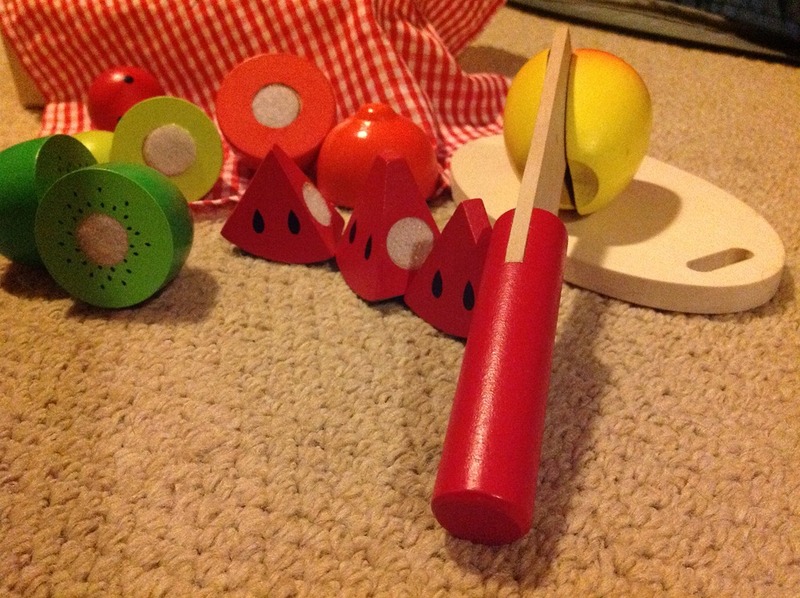 The Wooden Fruit Cutting Set is such a great idea, we play with this together as the age recommendation is 3+ years (Noah has not had any problems playing with the wooden toys and there is nothing too small that he can choke on). 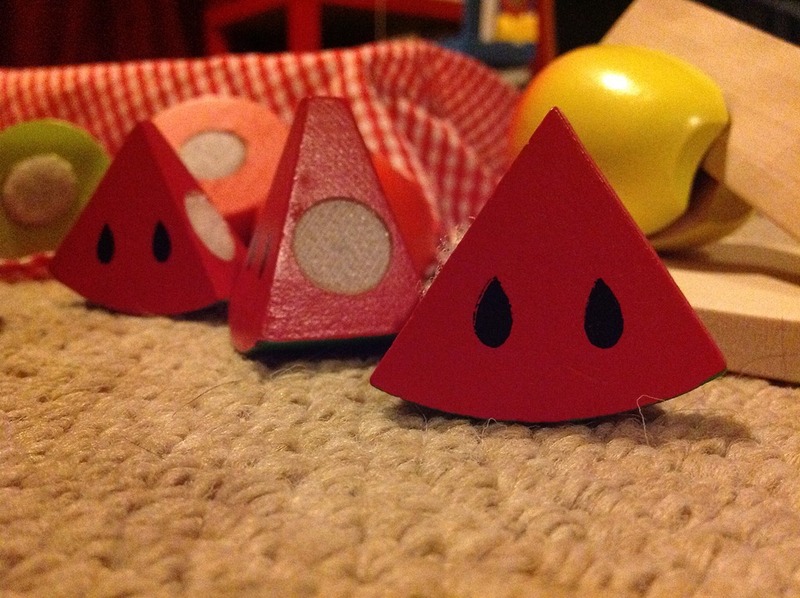 I think its a fantastic product; not only does it look great, the paintwork on the wooden fruit is fantastic. It’s such a great concept: teaching little ones how to control cutting foods – ideal for understanding meal times, teaching little ones how to half and in some cases section into 3 – when Noah gets a little older it will help me teach Noah to understand a little Maths (fractions), teaching little ones about colours and shapes and it also helps with teaching the little ones about the fruit themselves. So we put banana parts together with the right banana parts and so on, there really are endless amounts of things to learn from these fab toys. 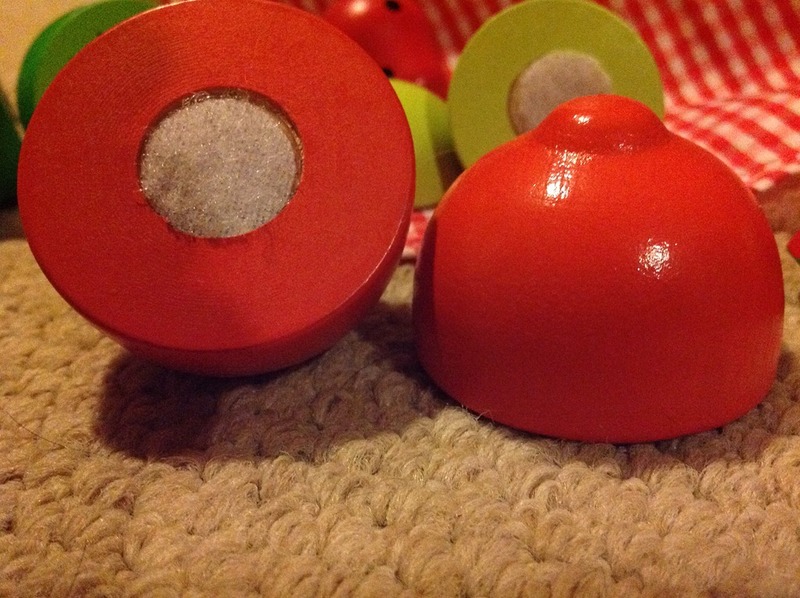 The fruit is joined together by Velcro and comes apart very easily, not too strong for a little tot of Noah’s age. He pulls them apart and cuts them apart and we put the “red” ones together and then we cut up the melon and put them back together again. He loves playing with them and spending time with my little man, to help him develop his skills and understanding of things is great for Mummy. The Wooden Cake Box Play Food set is a great little wooden toy kit for little ones; Noah took great delight in pretending to eat the yummy looking cakes and we played picnics with Mummybird’s Big Bird when they came over to visit and she just loved it too. 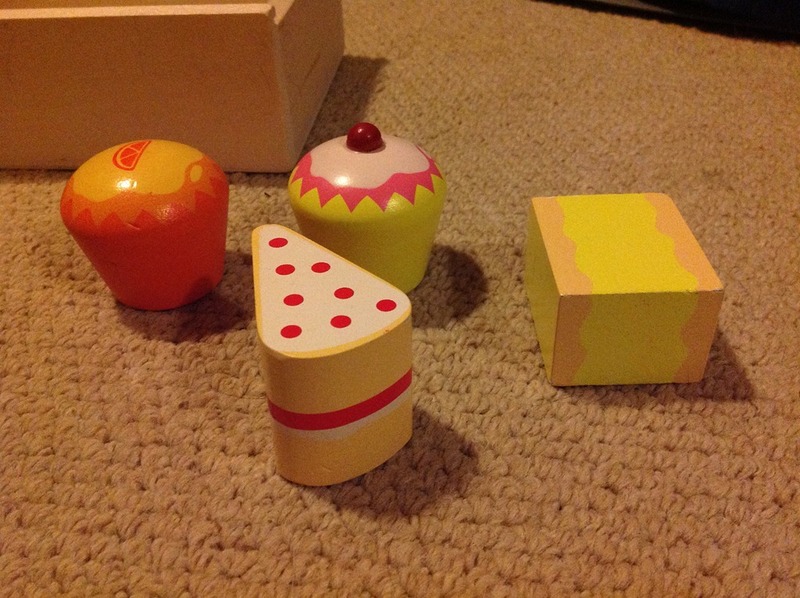 The 6 toy cakes come with a cute gingham napkin and a wooden box with slide on Perspex lid to keep them all tidy and helps Noah with “tidy up” time, this is a good game that he likes to play quite often. These cakes are great to start introducing choice with Noah, what cake would he like to try? what is his favourite? When Noah is a little older it will help him with his vocabulary and identifying the different types of cake! PlayMerrily Toys packaged the toys up perfectly, delivery was quick and their communication was excellent, I definitely recommend them.